Canadian bath brand Wetstyle is set to unveil three new bathtubs that meet the demand for freestanding units. The lines will be available in fall of 2018. Cloud is a 62-inch tub that “lives somewhere between the past and present,” the company says. It has a flared shape that evokes a vintage feel, while its flowing lines give it a contemporary look that’s also a match for transitional tastes. Straight is a slightly smaller option that measures 59 inches long. The brand says the product’s dimensions are ideal for more compact footprints and its rectangular, contemporary look lends an elegant feel to today’s bathroom. Wave is the smallest of the three new offerings. 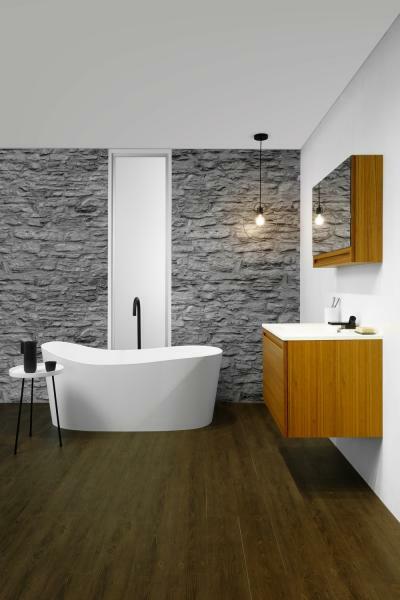 Measuring less than 58 inches long and able to fit in standard bathrooms measuring 5 x 8 feet, Wave is a freestanding model that reflects the movement of the ocean and blends harmoniously with any bathroom design, the company says. 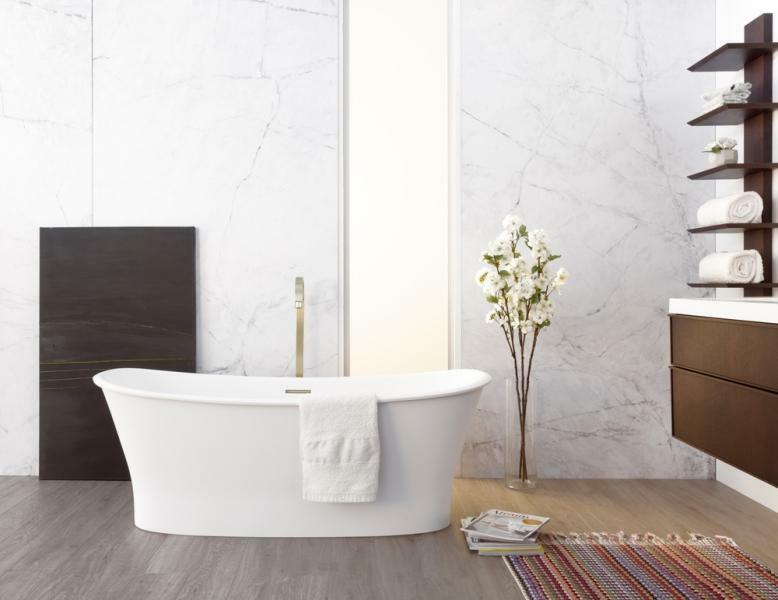 Each bathtub is handcrafted from the company’s composite material, Wetmar BiO, an eco-friendly, thermo-insulating material that is made from a mix of soy and mineral stone. The tubs are available in a True High Gloss or Matte white finish, with new overflow and drain finishes that include Satin Brass, Matte Black, or No Trim. Polished Chrome or Brushed Nickel are also available.